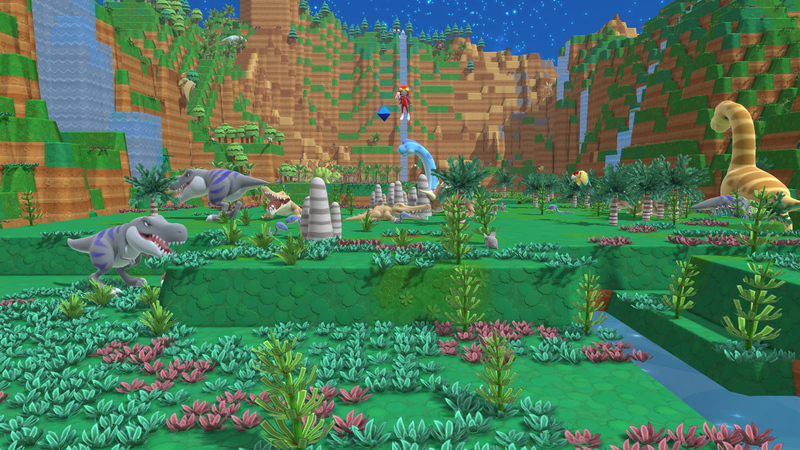 The first time I played Birthdays the Beginning, I didn't put the controller back down for four hours. I was in a trance, totally incapable of wrestling free. The next few nights went similarly: multi-hour sessions cut short not by dwindling interest, but by the pesky need to get at least some sleep. I can't say I didn't see this coming. 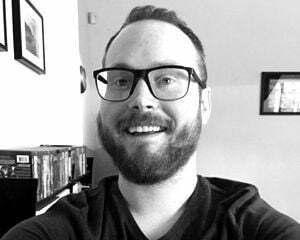 Birthdays is a sandbox title and those tend to have a powerful time-warp effect on me. This specific one also happens to be something of a dream game -- an ecosystem simulator in which your almighty meddling causes species to rise, fall, and evolve. It might not be flashy, exciting, or much to look at, but Birthdays is such an engrossing game. Developer: Arc System Works, Toybox Inc. Surprisingly, there's a story to this sandbox. I had assumed the game would drop players into a narrated tutorial and then leave them to their own devices, but that isn't the case. You're an average person roped into helping a mysterious being create and sustain life on a another world, and somehow, your actions have a direct influence on your own planet. It's a simple premise but sufficient as a hook. The meat of this game is its simulation of life. 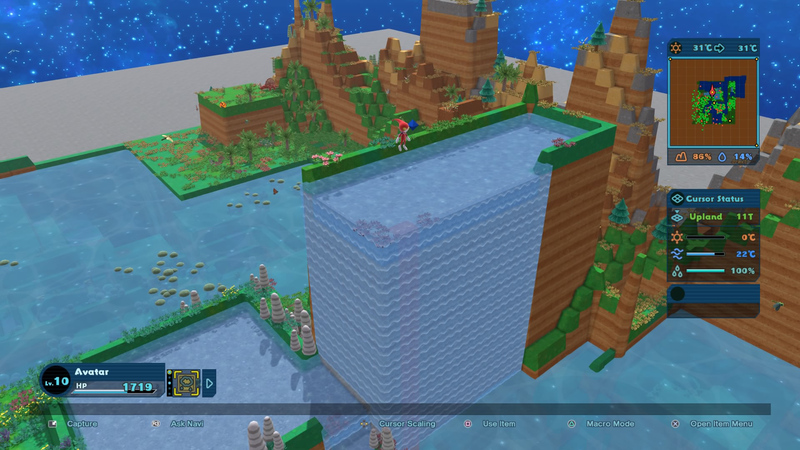 You start with a small cube world and nothing more than the ability to raise and lower the blocky terrain. Doing so cools and warms the environment, respectively. If you make a mountain, you'll get snow up there. If you dig down, you'll create seas. That's the easy explanation, anyway. Your world has an overall temperature dictated by how you've sculpted the land, but there's a ton of nuance to creating micro-climates and biomes that you'll eventually need to figure out through experimentation. Birthdays has plenty of up-front instruction, but after a while it leaves you mostly on your own to discover the simulation's inner workings. Once you've gotten things looking the way you want (or run out of terrain-altering energy and need to recharge), you'll zoom out to a worldwide view, enabling the passage of time. From here, you can speed up the clock. An activity feed shows new organisms coming into existence ("Happy birthday!") and their ensuing rise or decline as they try to cope with their surroundings. The whole game flows like this. You tweak the world to encourage new lifeforms, zoom out to fast-forward time, and fly back in to scan unfamiliar species for your log. For some, that'll be way too basic of a loop. For me, it was intoxicating. Birthdays continues to open itself up as you work your way down the tree of life. Your world will grow larger and, as a result, more overwhelming. New items and species will become accessible. Your bustling food chain will get trickier to balance. But the basic rules -- that certain species can only thrive in certain climates, among other less-obvious needs, and that you have to work your way down the evolutionary branches one step at a time -- remain constant. That might sound simple. It's not. Actually, real talk, this game is tough. It has a sly way of making you think you're doing well when in fact you've gotten by on happy accidents. I was a dozen hours in before I had a good grasp on how to spawn more advanced species without irreversibly wrecking my beloved ecosystem, and I easily spent a dozen more picking up all the finer points. Seemingly small changes like sprouting a riverbed or tweaking an area's moisture level can have huge (and not always immediately apparent) repercussions. There are ways to circumvent the rising difficulty. Some items can force an evolution or a mutation, and later on, you can essentially store and reintroduce a species if it ever dies out. But, those tools aren't always an option (some run on a cooldown), and they can only get you so far. It's not easy juggling the needs of dinosaurs and early mammals, to say nothing of spurring the dawn of man. And if you get invested enough to want to try and birth all 292 species? Godspeed. That's a lotta birthdays. 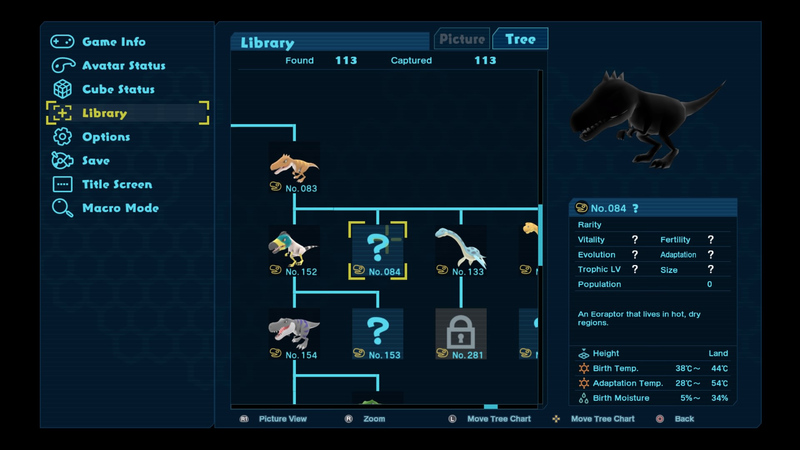 Outside of the main story progression, there are 10 standalone challenge missions that ask you to create specific dinosaurs under time and rule constraints. There's also a free-play mode, where you can pick your world size and either start from scratch or bring in your campaign save file. I would've liked more one-off scenarios, even if that means eventual DLC. The existing challenge levels cut out the playing-on-autopilot busywork of the early game, and they're satisfying to solve. I also can't help but wish the animals were more active. It's fun to watch them, especially when they're first discovered (although, this can be diminished by having to wrestle with the clunky camera controls). But that's all you ever really do. You don't feed or breed them, and they also don't eat each other on-screen. They kind of just wander around, regardless of where they sit on the food chain. You're simply the all-seeing gardener. Adding too many mechanics would risk mucking up the serenity of Birthdays -- as is, it's one of the most calming games I've ever played -- but there's undoubtedly room here for more moving parts. Even though certain design elements aren't as streamlined, fleshed-out, or user-friendly as they could have been, part of me is just thankful Birthdays even got greenlit. Niche as it might be, I've wanted something like this for years, and despite my admittedly high expectations, I still came away impressed. I hope the game is able to find an audience, because it so clearly deserves one.